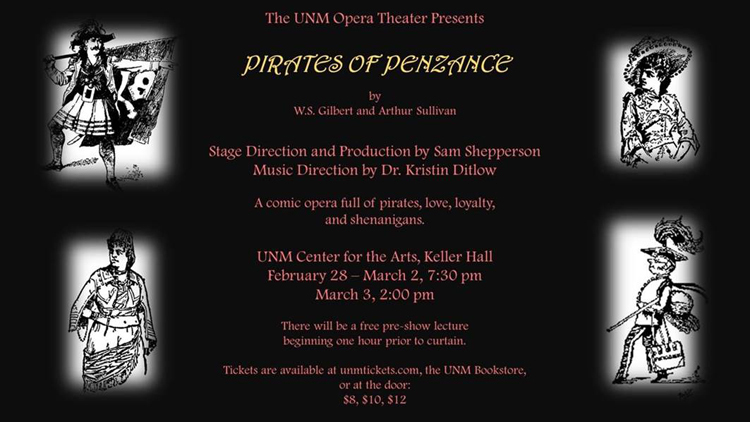 The UNM’s Opera Theatre will be joining forces with the UNM Symphony Opera to perform Gilbert and Sullivan’s The Pirates of Penzance for one weekend only. Pirates of Penzance will be performed at the UNM Center of the Arts in Keller Hall at Feb. 28, March 1 and 2 at 7:30 p.m. There will be an additional matinee showing on March 3 at 2 p.m. There will be a free pre-show lecture beginning one hour prior to curtain. The free pre-concert symposium on this work will begin Feb. 28, March 1 and 2 at 6:30 p.m. and March 3 at 1 p.m. The Pirates of Penzance is a comic opera full of pirates, love, loyalty and shenanigans. The play follows an ex-pirate and his journey of finding love and exploring his loyalty to his former pirate friends. Music direction was by Kristin Ditlow, and stage direction and production is by Sam Shepperson. 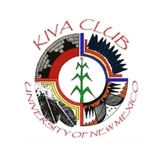 Tickets are available at the door, UNM Bookstore, or at unmtickets.com. 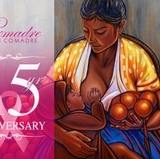 Ticket prices vary from $8-$12.